Utilizing a truly innovative design method, Chieftec has continued it's outstanding Bravo Series with a chassis concept that has to be seen to be believed. 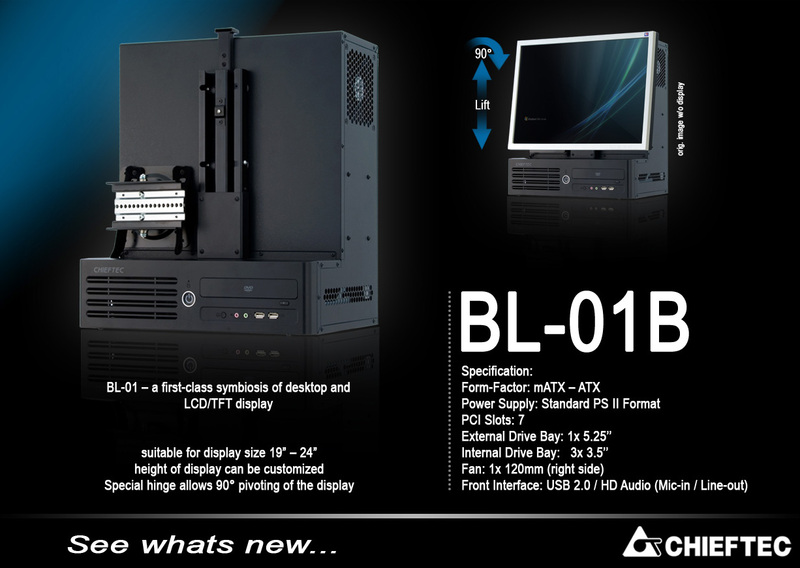 The Chieftec BL-01B Bravo Series Case is a bold new chassis that comes equipped with a VESA Monitor Mount built onto the side of the case. This allows the user to simply install their monitor on the side of their case, allowing plenty of space to open up in and around your workstation. Side Panel: Solid Drive Bays: 1 x External 5.25" / 3 x Internal 3.5"